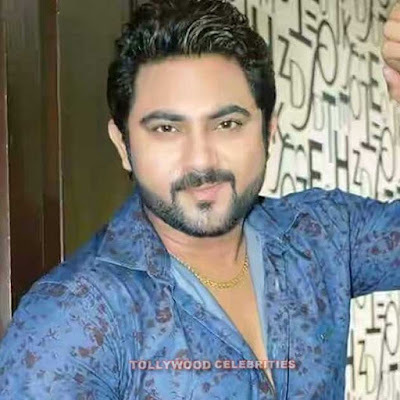 Soham Chakraborty is an Indian actor and producer who appears in Bengali films. He began his acting career as a child artist at the age of three as a Bittu Master, and also appeared in the movie Shakha Proshakha, a film by Satyajit Ray. Soham Chakraborty made his debut in 1987 in the movie Bengali Chhoto Bou, at the time he was 2 years and 1/2 months old. His first film at a young age was Chander Bari. His next Big Budget film was Bajimaat directed by Haranath Chakraborty, produced by Piyus Saha who was a box office hit was his first film as a full-fledged hero. Chakraborty described this as a difficult phase of his acting career and he did not expect a chance in the Bengali film industry after the success of Bajimaat. But, the following year, he played in Prem Aamar directed by Raj Chakraborty and produced by Shree Venkatesh Films. After Prem Aamar, he played in films like Rahasya, Jeena and Soldier that were commercially average. His other best-selling film, Amanush, released in 2010. The film was directed by Rajib Biswas. Chakraborty played the role of Vinod, an orphan who suffered a lot of physical and mental torture as a child.